Reddit users are responding angrily in great numbers to the news that Tencent Holdings is to become a lead investor of the social media platform by investing US$300 million. For several days, dozens of posts critical of China’s leadership and policy have been hitting the top of several of the site’s feeds and the front page. Though the site is blocked in China itself, news of the investment – broken by TechCrunch on 5 February – sent waves rippling throughout the Reddit community, as posters, aware of Tencent’s close links to China’s central government, expressed concern that this deal would result in the censorship of China-based content on the platform. Protest posters have mainly been sharing content related to the Chinese government’s poor human rights record. Article subjects range from archive footage of the 1989 Tianneman Square massacre to the most recent coverage regarding the forced imprisonment and persecution of Uighurs in Xinjiang province. There has also been a great deal of meme-sharing featuring Winnie The Pooh, the Disney character which many Chinese netizens have compared aesthetically to Chinese President Xi Jinping, and is allegedly a great source of chagrin for the leader. The situation is perceived as so tense on the site, that some page moderators have been highly criticised for removing posts deemed inappropriate, while others have questioned if the outrage has driven the political discourse into more questionable anti-Chinese territory. Though there has not yet been any official comment from Tencent or Reddit in response to this outcry from the user base, it is very unlikely that either party wanted or expected this kind of negative reception. 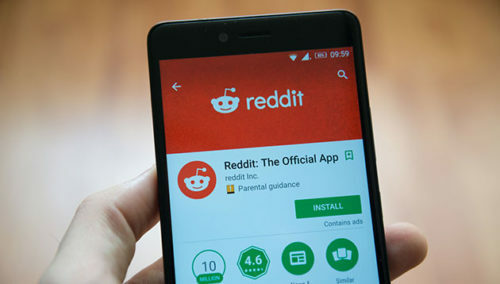 As Reddit continues its funding drive before going public and fights to attract advertisers, and as Tencent makes further attempts to transition into a positively recognised brand in the West, this mini-crisis is not going to make reaching those goals any smoother. The new portal is an extension of the “e-rakyat” bulletin. ..